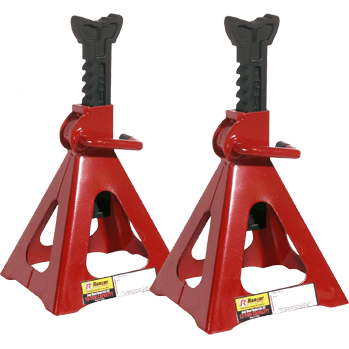 Two of these heavy-duty jack stands together will support up to 3 tons safely! 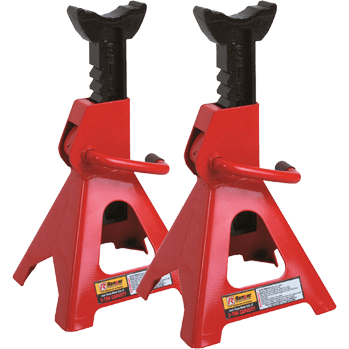 Two of these heavy-duty jack stands together will support up to 6 tons safely! 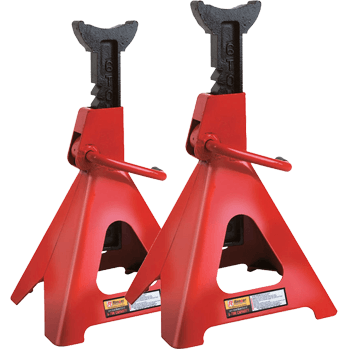 Two of these heavy-duty jack stands together will support up to 12 tons safely! 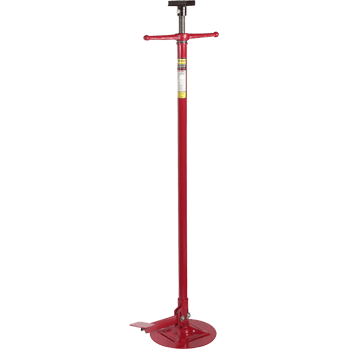 A high reach jack stand is one piece of equipment every garage owner needs. It will stabilize up to 1,650 lbs. of vehicle while it’s on a 2 post or 4-post lift. 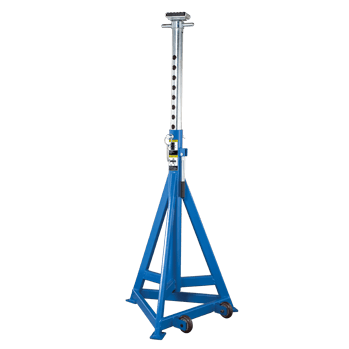 A high reach jack stand is one piece of equipment every garage owner needs. It will stabilize up to 1,650 lbs. 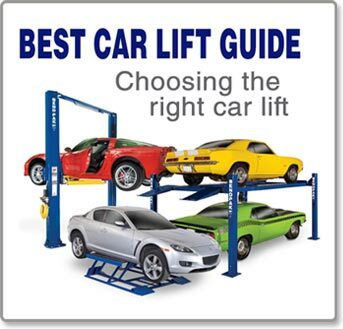 of vehicle while it’s on a 2 post or 4-post lift. This jack has a "jiggle pedal" for alignment help. Support 16,000 lbs of vehicle with is BendPak awesome MLS-16 Mobile High-Lift Jack Stand, it is perfect! A tripod jack stand that stabilizes up to 2 tons of vehicle weight while it's on a 2 or 4-post lift. Perfect! There is nothing more important in a home or workshop garage as safety. Ranger Jack Stands provide just that. 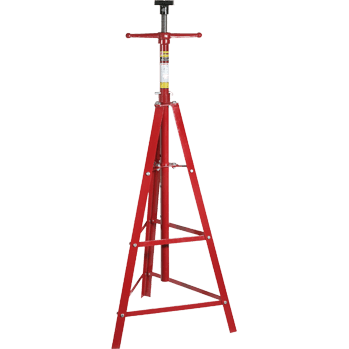 Ranger Jack Stands are a rugged, tough design made from welded steel construction with a ratchet & pin safety mechanism that keeps them safely locked under load. Ranger stands come in capacities of 3, 6 and 12 tons. We suggest you buy them in pairs, they work better that way. 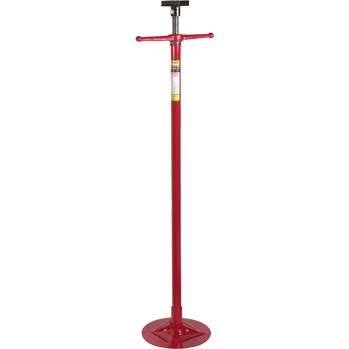 Ranger supplies a sturdy line of high reach jack stands used for stabilizing up to 2,000-lbs. 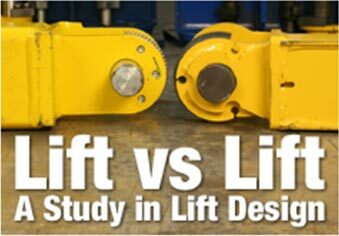 of lifted vehicle or supporting drive-train components. RJS-3T 6,000 11 1/2 17 7" - 7 1/2"
15 1/2 24 1/2 9" - 10 1/2"
20 30 1/2 14 1/2" x 13"
54 1/2 80 1/2 12"
RJS-2TH 4,000 55 87 24" x 24"
Browse our full offering of equipment for your shop or garage!